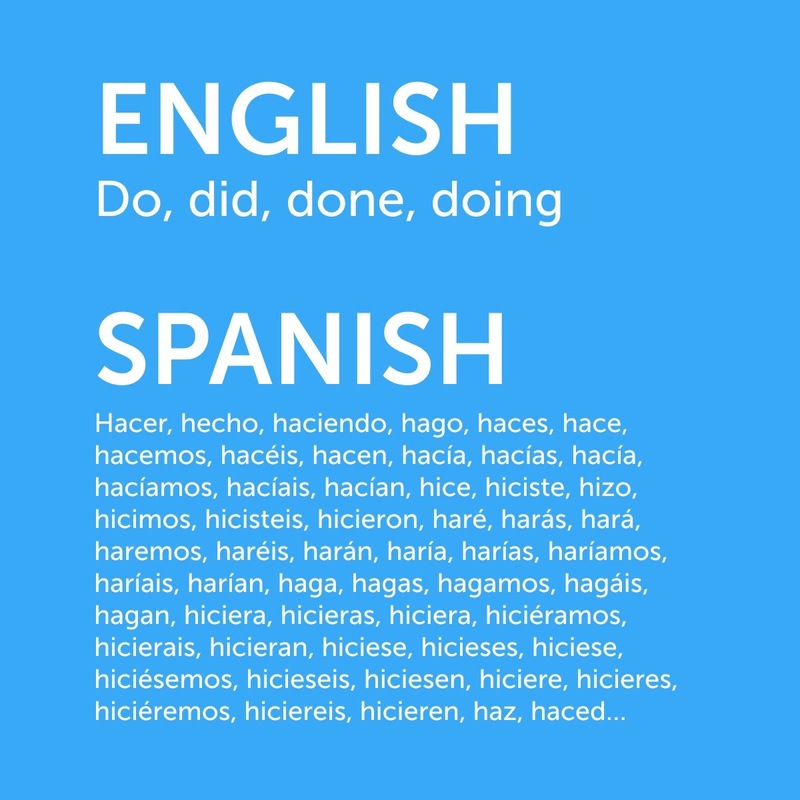 Tags: do did done doing, English language, hacer hecho haciendo hago haces hace, seen on @Twitter, Spanish language, versus, vs. This entry was posted on 20 October 2018 at 6:22 pm and is filed under Uncategorized. You can follow any responses to this entry through the RSS 2.0 feed. You can leave a response, or trackback from your own site.